The holidays are quickly approaching. Do you have a few (or more) family dinner’s coming up? The year I had my oldest daughter was the year that I started hosting family dinner’s for special occasions at my house. I remember that first year, feeling that a mix of excitement, as sort of a rite of passage, but also slight terror! That first year, we were only hosting a few people but with a new baby in the house, I remember wondering…what did I agree to?! However, when my daughter was born, I somehow feel like the torch had been passed to me and it was suddenly time to start having more special family gatherings at our place. That first year was the first time that I had attempted to make fresh cranberry sauce….because what is a Holiday Dinner without it? So, I thought I’d share it with those of you who are attempting thanksgiving dinner this year for the first time this year, or just need a reminder. What is one food that is a ‘must’ for the holidays in your house? Up for adventure in the kitchen? You can also add orange or lemon zest, or a dash of cinnamon to taste. Step 1 – Mix all ingredients in a medium sauce pan. Step 2 – Bring to a boil. Step 3 – Simmer until berries *pop*. Step 5 – Chill until ready to serve. 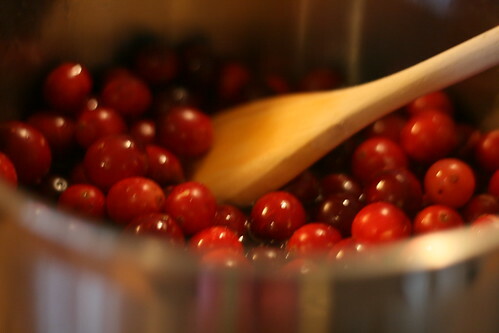 Step 6 (Optional) – Use a hand blender until smooth; if you are someone who likes added texture to your cranberry sauce, skip this step. Step 7 (the most important step) – Enjoy with family and friends! Today I’m very excited to introduce you to a local Manitoba Registered Reflexologist who is also a Certified Reproductive Reflexologist and the owner of Gloria’s Reflexology. I have been following Gloria Laing for quite awhile now on social media and I love hearing all of the ways that she is helping families, and also helping to make families a reality for those who are having a difficult time in their reproductive journey. I’m happy to have the opportunity to share her business and her knowledge with you. A lot of readers are probably wondering…What is reflexology and how does it work with the body? Reflexology is an ancient holistic therapy that, by applying strategic pressure to reflexes, removes communication barriers between your brain and organs/systems/cells in your body so that your body can regain it’s ability to heal itself and ward off disease and dysfunction. While there any many different types of Reflexology (reflexes are found on every inch of the body, much like fascia), some of the more common types are Foot Reflexology, Hand Reflexology, Ear Reflexology, Face Reflexology and Indian Head Massage. I have certification in Foot, Hand, and Indian Head Massage Reflexology. Most commonly I work on the feet, and while the treatment feels like a delicious foot massage, its really so so much more. How did you become interested in helping families with their fertility journey, as well as through pregnancy, birth, and afterwards? my region. As a late 30’s woman, I was suddenly exposed to things that I never knew existed! As far as I knew, if you got sick you went to the doctor, got a prescription and the sick went away. I didn’t know there was a whole preventative side and a wholistic treatment world and a natural approach to birth that didn’t immediately deem it a medical emergency. I was excited and inspired and I knew my next career would be in somehow helping women become the best versions of themselves naturally! Reflexology seemed to be that “way” for me and serendipity just led me down the golden brick road to Fertility Maternity and Birth Support Reflexology. I also read that you offer reflexology for babies! How does reflexology help babies? It’s true! Along with my Maternity and Birth Support Reflexology training, I learned special protocols that help babies with issues such as colic, constipation, shoulder dystocia at birth, precipitous birth consequences (i.e. : musculoskeletal trauma due to very fast birth), sleep issues etc.. the treatments for babies are significantly less time than for an adult, but no less effective. And I always show the parent how to perform the treatment at home to their baby so the healing can progress more rapidly and with less trips to my studio. Afterall, who LOVES taking baby to appointments. What is your favourite aspect of your job as a reflexologist? I love the challenges that present themselves each and every day. While my specialties and passion are Women’s Health Issues, I see clients with stroke consequences, Repetitive Head Injury Syndrome, Anxiety and Stress Disorders.. I just love working with each client to help solve their puzzle and watch their symptoms reduce or resolve completely. How can families find you? On the web I can be found at www.glorialaing.com. I’m also on Facebook and Instagram. Physically my private home studio (yes it’s absolutely private to the rest of the house) is located just South of Landmark MB. An easy 20 minute drive south east of Winnipeg. Learn more by visiting Gloria’s Reflexology website today! A big thank you to Gloria for participating in this interview. Thank you for sharing more information on what reflexology is all about and how it can help families through conception, birth, the baby years, and beyond! I look forward to having a chance to talk with Gloria more in the future and share her knowledge with families in Manitoba. Have a question about reflexology and how it relates to some of these topics? Email pregnancywinnipeg@gmail.com and I will try to include it in a future post! Have you tried reflexology before? How did it help you or your family? Before I was a mom, I always had a difficult time getting to sleep. After kids, it was the challenge of getting them to sleep. Now, when I’m awake, it’s usually not because I can’t sleep but because I have so much to get done and not enough hours in the day. (Can anyone relate?) In the past, I have tried many things to get to sleep…everything from drinking warm milk, keeping a note pad beside my bed to write down things as they pop into my head, even counting sheep, etc. Unfortunately, most of the time, none of these tactics worked. With my kids, I focused on the 5S’s by Dr. Karp, author of The Happiest Baby on the Block. White noise is something that I knew worked well but sometimes I needed a break from all the Shhhhhing and a white noise machine was helpful. Even now that my kids are older, they enjoy something like music or white noice before bed to help them wind down. Sound Oasis makes sound machines to help you get to sleep. In addition, white noise has many other benefits such as giving sleepers better “quality sleep, enhancing their concentration, and feeling more alert and comfortable throughout the day!” In addition, on their website, they talk about how it can soothe crying babies, help people who suffer from circumvent tinnitus discomfort, stress, and even menopause. That’s a long list of things that white noice can help! Who knew?! Sound Oasis has been featured on Extreme Home Makeover – Home Edition and they have received the MBA: Mom’s Best Award. 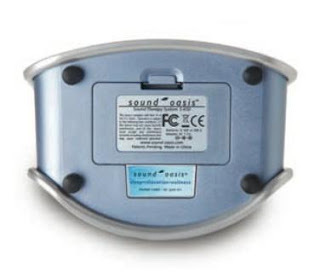 Sound Oasis was kind enough to offer me the chance to review their S-650 Sound Oasis Sound System with, in addition to each of their sound cards: Sound Oasis Sounds for Baby, Sound Oasis Nature Journey, Sound Oasis Ear Therapy & Sound Oasis Spa Therapy. This sound system is different from others on the market because it uses authentic nature sounds that have been clinically proven to help people get to relax. To find out more about the research team behind the Sound Oasis systems, please visit Sound Oasis’ research page. 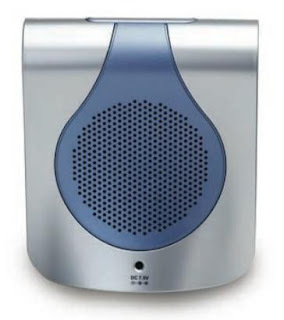 In addition, besides the Sound Oasis system, all other sound machines I have seen in the market have one list of songs and that is it; there is really no flexibility. Sound Oasis has come out with a great alternative, which utilizes sound cards to store various sounds. This allows users to switch between different sounds by simply swapping sound cards. Finally, this system can be used as a stand-alone system or as a portable system by either using the AC adapter that comes with the S-650 or 4-AA batteries (not included with the system). Having both options is great for several reasons. The portability of the system can allow you to take it with you anywhere: your office, the babysitter’s, etc. In addition, I like the idea that you can use the batteries as a backup. That means you no longer have to worry about your alarm clock resetting when the power goes out. When I received the S-650 system, I set it up immediately. I enjoyed listening to all the different sound cards that are offered for this system. The first thing I noticed was how realistic these sounds were. It even has a heart beat function which is fantastic for babies. The speakers offered with this system seem to be high quality and I was happy with the sound. The first night I used this system, I had an extremely hard time trying to choose which sound to fall asleep to. I finally chose the Secluded Lake – “Experience the peacefulness of a secluded lake with gently lapping water and song birds”. I quickly realized this was not the sound for me. It reminds me of all the times I go camping and the birds wake me up at the crack of dawn. I love all the different sounds. 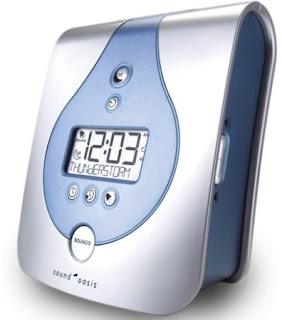 I especially like listening to the Thunderstorm sound from the Sleep/Relaxation/Wellness sound card. Since the sound of rainfall makes me happy, this one is a great choice for me! In addition to putting me to sleep and my little ones to sleep, I have found it much easier to wake up in the morning to a relaxing sound than the harsh sound of the radio. I also enjoy that it gradually gets louder instead of blasts on at once first thing in the morning. Waking up gradually seems to be helpful. Overall, I find this is helps me feel more awake in the morning and I actually seem to have a bit more energy throughout the day. After using the Sound Oasis S-650 system, I have come up with a few things I would love to see in Sound Oasis’ future systems. 1.) Sound cards with completely unique tracks. The sound cards Sound Oasis currently offers have some tracks repeated on multiple cards. 2.) An easier way to change the time. Unlike most alarm clocks, this system does not allow you to change the time by hours and minutes. For example, say your clock says 8:00am but it is actually 8:00pm and you want to change the time. To change the time on the S-650, you have to press the time change button as it goes through every possible time between 8:00am and 8:00pm. It would be much easier if I would just change the hour by pressing the button a few times. I found this process to be rather time consuming. 3.) I would also like to see Sound Oasis add the ability to change the time on the clock backwards or forwards. For example, say my alarm is set for 7:30am one morning and the next morning I need to get up at 7:00am. With the S-650, as it is now, I would have to go through each possible time between 7:30am and 7:00am (forwards). I would love to be able to switch the time or the alarm 10, 15, or 30 minutes backwards or forwards quickly and easily. 4.) I would like a control switch that allowed you to adjust the brightness of the display. I found it to be quite bright and distracting when trying to fall asleep. I fixed this problem by covering the display with a piece of paper. The downside to this was not being able to see the time. Possibly if it had a black background instead of a blue, it would be easier to tolerate. 5.) Finally, my last suggestion would rather be a luxury feature than a necessity. I would love to see Sound Oasis add an AM/FM radio to their next system. Since the current system doesn’t have that option, I have to choose between having a radio or the S-650 set up in my bedroom (I’d really prefer not to have both set up at the same time – I do not need 2 clocks). In the daytime, I enjoy listening to the radio while putting clothes away, etc. I really think the addition of this feature would be something people would enjoy. Compared to other systems I have tried in the past, I really enjoy the Sound Oasis S-650. I really like the realness of their sounds, as well of the versatility of their sound cards. In addition, I like the idea of making different sound cards for different purposes and people; for example, for babies or people with tinnitus. However, by far, the best feature of this system has to be it’s ability to get me to sleep. To me, this seems like a miracle! If I had to recommend one sound system, it would definitely be the Sound Oasis S-650. Even though there are a few things I’d change, the benefits definitely outweigh those aspects. The S-650 certainly gets 2 thumbs up in my book! Disclaimer: I was given one of the Sound Oasis S-650 Systems for no charge to review. I aim to provide objective reviews including both pros and cons and receiving the system has not altered my review. Today, I’m happy to introduce Lynette Beard, a local Nurse and IBCLC Lactation Consultant, who is helping to make breastfeeding easier for moms and babies in Winnipeg and Southern Manitoba. Lynette, how did you become interested in helping families with their breastfeeding journey? I started out my nursing career on the Mother Child Unit at St. Boniface Hospital. It was there that I began to learn more about breastfeeding. I was given the opportunity to take the Douglas College Breastfeeding Course for Health Care Professionals in 2011, which provided me with a wealth of knowledge I could bring with me to the ward. My favourite part about working on the Mother Child Unit was the teaching aspect, especially about breastfeeding. I worked straight nights and you can imagine a large portion of my shifts were dealing with tired moms and babies who wanted to nurse nurse nurse! And once I became a mom myself, I realized how much more important breastfeeding was to me. Sharing my passion for breastfeeding is a joy and I love to see other moms find success in their own breastfeeding journeys. I read that you are an IBCLC. What does that stand for and how does it differ from other lactation professionals? IBCLC stands for International Board Certified Lactation Consultant. It is the gold standard of lactation care. It differs from other lactation professionals mostly in its accreditation process. To become an IBCLC, you need to acquire at least 1000 hours of practical experience, 90 hours of breastfeeding education, the equivalent of a 4 year university education, and write the entrance exam. Once you have been certified, you then need to re-certify every 5 years either by submitting 75 CERPs (Continuing Education Recognition Points) or writing the entrance exam (This is optional every 10 years). You can see that to become an IBCLC, the process takes years. To become a lactation counsellor or other lactation professional, the process may be to acquire 20 hours of breastfeeding education, provide an assignment, and write an exam. Some lactation educator programs may differ from this. What is your favourite aspect of your job as an IBCLC? I love visiting women where they are most comfortable, in their homes. I’m able to problem solve with each mother in their own environment, tailoring their care to their home environment. I also love all the baby cuddles! What services do you offer to families and what areas do you serve? I serve Winnipeg and Southeast Manitoba – including but not limited to Lorette, Ste. Anne, Landmark, Steinbach, La Broquerie, Niverville, St. Agathe, Oakbank, etc. Home Visit – In the comfort of your own home, I have a conversation with mom about her pregnancy/labour/delivery/breastfeeding history. I do a comprehensive exam on baby, including baby’s structure (body), function (how the tongue moves), mouth, and latch. Together with mom, we create a care plan that meets mom’s needs. We weigh baby and plot it on a WHO Growth Chart. And best of all, every mom receives 2 weeks of unlimited communication with me after our visit. Hospital Visit – For those who would like to have an IBCLC come see them in the hospital before they go home, this is a great option. I’m happy to come and provide the same service as I’d provide in the home. Prenatal Visit – For parents who would like to feel more prepared before their baby arrives, I come and discuss breastfeeding basics. I will discuss any past breastfeeding difficulties that may have occurred and how we can combat them this time around. Full Online Visit – For mothers who might live out of my service area, I provide my services via Skype. The only thing we are not able to do is weigh the baby. 30 minute Online Visit – For those who just have some questions for an IBCLC but don’t need a full consult, this is a good option. Tongue Tie Package – Many parents who find out their infants have a tongue tie have no idea how to move forward. And when they have a frenotomy done, many parents are unprepared for the difficult journey that follows. I am here to provide guidance and support, both emotionally and practically with breastfeeding positions and after care following the frenotomy. What do you think are the current breastfeeding challenges for families locally? I think that the largest obstacle for families currently is the lack of IBCLCs on the front lines. With the cutbacks on breastfeeding services at HSC, we have significantly less resources for moms in that first 1-2 days post-partum. And that’s a critical time in the mother-baby relationship where they are learning to breastfeed. Without appropriate help at this point, they are much more likely to have breastfeeding difficulties in the following days and weeks. What are the top 3 tips you would give to families who are planning to breastfeed? Take a breastfeeding class. I teach one once a month at Birth Roots. Learn what normal newborn behavior is. Plan to do continual skin to skin with your newborn at all times when you are awake in the first few weeks of his/her life. This will maximize your milk supply!! Skin to skin is magic! Finally, how can families find you and access your services? I used to be a ‘bad sleeper’. That is, before kids. After kids, sleep definitely changed, and my definition of sleep has changed with it. But because I seemed to need it more than before, falling asleep wasn’t as big of an issue as it used to be. Instead, my kids getting to sleep became the primary issue. But, I quickly realized that somtimes, things that helped me get to sleep before, would help my babies too. As a doula and a childbirth educator, sleep is a topic that frequently comes up with parents before baby arrives and after. It is one of the biggest changes to routine that parents experience after the birth of a baby. When babies are born, they are nocturnal and often don’t sort out their days and nights until at least 3 months, but often 6-9 months after birth. Which means your sleep routine will be changing too. In addition, they are also used to the comfort and safety of the womb. Knowing that can help us to figure out what will help to calm our babies after birth. Photograph by Imagery by Bean (www.imagerybybean). Imagery by Bean Specializes in Maternity, Birth, Baby, and Family Photography in Winnipeg and Rural Manitoba. When teaching prenatal classes we talk about the 5Ss, which is a system founded by Dr. Harvey Karp, author of the popular book ‘Happiest Baby on the Block’. The 5Ss are a simple system of 5 ways to help calm your baby whether they need to sleep, or just need to be calmed and comforted to a happier level again. It’s a system, and a book that I highly recommend to new parents. If you are looking for more information, you can learn more through his books, on his HappiestBaby website, or on his YouTube channel. One of the 5Ss that we discuss is Shushing or Shhhhhh-ing. The Shushing or Shhhhh-ing is a type of white noise that helps to mimic the muffled sounds that babies hear while they are in the womb, which can help them feel more safe and secure once they are born. This is something that you can learn to do yourself to provide white noise anytime and anywhere. Why would you want to do this? Because, white noise like this is a well known/studied way to help calm babies, children, and even adults as well. Furthermore, white noise is essentially background noise – other examples aside from what I’ve talked about above include: the sound of a radio station with no music but static instead, the sound of the dishwasher (or a washing machine), the sound of a vacuum or a fan, or the sound of a car (which most experienced parents will tell you often puts a baby right to sleep). There are many options listed above that you already have available to you to provide white noise. To get a break from ‘being’ the white noice machine, some people like to buy special white noise CDs or actual white noise machines. Some items for babies like bouncers or swings often have sounds built in – many are music or nature sounds, but some offer white noice options as well. Do you find that white noise helps to calm your baby, older children, or family as a whole? 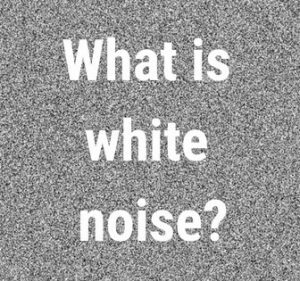 What other types of white noise have you found effective? Do you avoid shopping with your kids? Or, do you love it? Or, are you trying to learn how to love it? Shopping with your kids can be fun, easy, or at least less stressful if you plan ahead and are open to ‘going with the flow’ and learning from your kids! This is a picure I found of my oldest daughter Lyla, when she was only about 7 months old, during a shopping trip to Costco. I admit, it took me a long time after having my first daughter to attempt a ‘full blown’ shopping trip solo. In my mind as a new mom, there were so many things to consider. Do I use a cart, a stroller, or a baby carrier? What happens if it is winter and I need to transfer her out of her convertible car seat and into her carrier or stroller? What if she starts crying in the middle of the trip? What if she wants to breastfeed? And, this was only with one child! After the birth of my youngest daughter, things got even more interesting. Because she was a preemie, the NICU recommended keeping her out of highly public places, especially during cold and flu season. So, the first trip with both of them together took a bit longer. I remember that first trip with both kids as if it were yesterday. The actual trip wasn’t bad, but by the end, they were done! Done, done, done! As we got to the checkout, they started to cry – and as one started to cry, so did the other. I felt all eyes were on me. So I tried to get everything together, pay for my large grocery trip (I’m not sure what I was thinking), and keep composed. I was offered help by a stranger but was too proud to accept it. With my first, we started with little shopping trips. With time, I became more confident to go on a grocery shopping trip with just me and my daughter. Once my youngest started to come along, it was a learning curve again, but we got through it, learned new tips and tricks, and often ended up having a great time! My babies were both curious and that made shopping trips more fun and entertaining for them; there was so much for her to look at (and to try and grab for)! Just in case, I made sure I was prepared with extra toys, books, and things to keep her busy. Toys that attach on to the cart made it convenient for her and good because we are more likely to leave the store with all of the toys that we came in with (shoes sometimes were another story!). Throughout the trip, we had fun chatting with each other, making faces, and playing little games – like Eye-Spy. I learned that we could make it an educational opportunity by listing things as I saw them or as my daughter grabbed for them, or by simply answering questions. As they get older, there are still lots of questions and I see it as a chance to learn about different things – like nutrition and living healthy! What do you do to keep your shopping trips fun and easy with your little ones in tow?